So much to report in the wolf world, but right now it feels like very little of it is good news. Here’s a brief update, state by state. Washington has hunters on the ground, poised in readiness, to kill four members of the Wedge pack. These wolves have killed a lot of cattle, Carter Niemeyer has verified this, but what about the future? The doors of communication have been thrust open by individuals and organizations who are capable and willing to drive to the Diamond M and search out ways to help decrease livestock predation. Let’s hope the ranchers respond. What do they have to lose? Oregon wolves are thriving, 58 at last count spread throughout six packs. Good news? Only if you aren’t counting until they’re delisted. The kill order on OR 4 and his son is still on hold, due to a lawsuit filed by Oregon Wild and others. Journey, that wandering lone wolf that has traveled over 2,500 miles, is homesteading on his own in Plumas County, California, where he’s been for over six weeks now. In Wisconsin, a judge has temporarily banned use of dogs to hunt wolves in the first season that will open October 15, 2012. 200 out of 800 wolves will be allowed killed in this five month season. Thanks Wolfwatcher and the other seven nonprofits for your role in this! Recently, the “winners” of the 1,160 wolf hunting permits were announced. Guess it’s Miller time in Wisconsin. This is the state that has paid claims on 195 bear hunting dogs that were killed by wolves. Minnesota, once a hold out for wolves, will institute their season on November 3, 2012. A lawsuit filed this week by Howling for Wolves and the Center for Biological Diversity challenges the hunting and trapping of wolves, stating the Minnesota Department of Resources (DNR) did not allow enough time for public comment on the issue. Cheers to the efforts of these non-profits! Difficult to believe Minnesota did fine for so long without trophy hunting their wolves. In Montana, with an estimated population of 650 wolves, has nearly doubled the potential for wolf “harvest” this next season. 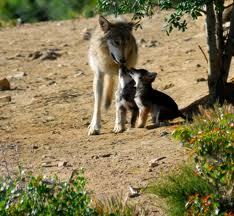 Wolves can be killed from September 1, 2012 until late in February. A recent wolf trapping class was attended by over 100 folks, including representatives of Wolves of the Rockies, who infiltrated the class to gain valuable info. In case you missed this class, another one will be offered in December. Wyoming will manage wolves in the northwest part of the state as “trophy game” animals. Elsewhere, wolves are considered a predatory species and can be shot on sight. No limit. Wolves trickling out of Yellowstone are fair game too. Approximately 328 wolves remain from last years season. What will the number be after this one is over? A lawsuit filed by WildEarth Guardians, EarthJustice, and Wolfwatcher challenges this nearsighted plan. Michigan has not decided yet whether they will allow a hunting season on their wolves. Once again, Wolfwatcher is exerting pressure to prevent this state from following in the footsteps of the rest. We still have time to comment, see Wolfwatcher for details. Meanwhile, the famed Isle Royale wolves are diminishing. Three wolves were found drowned in a mine shaft this spring, leaving a total of only nine. If there was any place we thought wolves were safe, this was it. In Alaska, long the land of many wolves (7,00 to 11,000) that people do not appreciate, the Alaska Board of Game recently refused to even allow a meeting to discuss a wolf buffer zone outside of Denali National Park. Sad. But I imagine Sarah Palin is happy. The Mexican wolf scrambles to survive. Only 58 of them alive in the wild at last count and none released since 1998. The Red wolf remains on the Endangered Species List, with only 100 to 120 in their recovery area. Good luck little wolf! Idaho. Did I save the worse for last? If there is a state that has set the sorry standard for annihilating wolves in this century, Butch Otter’s domain gets first prize. 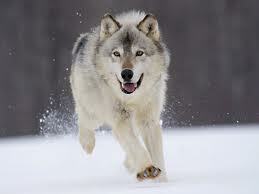 The wolf season is open year round in some areas, the rest will be open season from August 30, 2012 until March or June of 2013. Trapping opens November 15, 2012. Last year, Idaho shot 255 wolves and trapped 124. My condolences to the many courageous and devoted wolf supporters in this state. Keep fighting, the wolves need you here more than anywhere. I’m compelled to end on a positive note, so here’s a video clip of a litter of Red wolves born at the WNC Nature Center in Asheville, NC this spring. Enjoy, and keep up the great work. Why are they not Implementing Call blasting of a large pack of Wolves… to set up a “perimeter” to keep wolves out of the area and away from livestock? Wolves are generally very considerate of other wolves territories… especially if the group that is being Call blasted is a large group of 10-20 wolves…. I have seen a program on TV where Farmers have used the call blasting and they have dropped their loss’s of cattle significantly… One farmer reported losing only 6 calves as opposed to the 50 that he was losing before the call blasting was initiated. .I agree with what what said above, BUT, where and how does the public influence the grazing allotment procedure put in place eons ago? We can’t even get the meesly $1.35 AUM revised. To stipulate that livestock producers MUST have non-lethal measures in place before they can use “their” allotment seems to me a very difficult task that the public and politicians in the West would be unwilling to support. In my opinion not much has changed since the original reintroduction which depended on the acceptance of the 10J rule. Defenders, at that time, believed that with “education”, ranchers would accept wolves. That hasn’t been the case and it doesn’t make any difference how many wolves are killed, how many cows die, how much compensation is paid, it comes down to “cultural hate”…….the cultural hate of wolves continues and in many areas has increased. And, it’s not just wolves………look at the sheep ranchers reaction to wild, native big horn sheep in Idaho and Wyoming. They want to eliminate native wildlife to graze their domestic sheep!!! As long as the status quo preservation of the livestock oligarchy in the west remains in effect predators like wolve, coyotes, lions and bear will have a rough life. Steve, I wonder if you (or anyone else) has any information on this “call blasting” technique that Rachel mentions in her post. This is something I haven’t heard of. Sounds interesting. It certainly seems reasonable to expect ranchers to implement non-lethal measures when using public lands. And there needs to be more than a token effort made. Ideally, there should be set of detailed standards determined by people like Steve Clevidence and Timm Kaminsky, as well as others, that ranchers could follow. From what I’m learning, what works to prevent depredations depends on a ton of factors, including the terrain where the cattle graze. This has been a big issue with the Wedge pack I’m told. It may not help but what if when all these permits become available why not all the ones of us that stand up for the wolves buy as many as possible that way we beat these “people” if thats what they are at their own game.